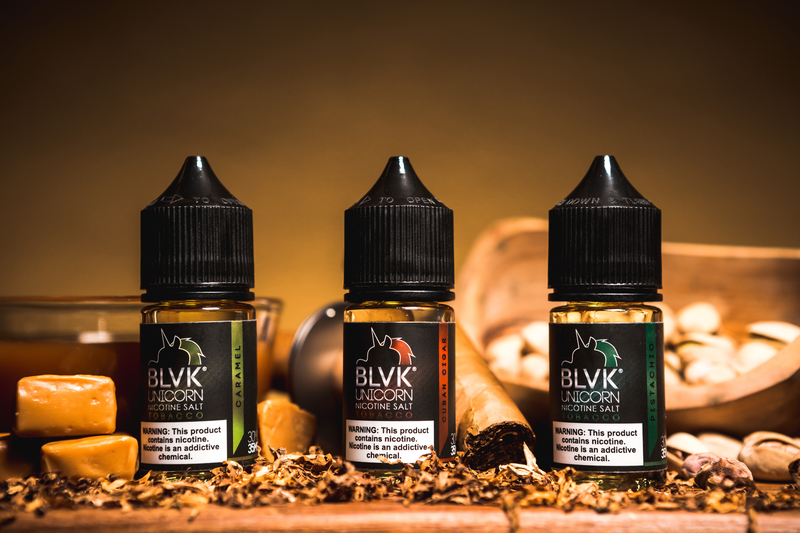 Historically, BLVK Unicorn has successfully developed e-liquid collections that cater to virtually every vaper and their seemingly endless flavor preferences. In what is now our seventh collection to be released, we are proud to introduce the all-new BLVK Unicorn Tobacco collection. Featuring three delectable tobacco blends tailored for the avid tobacco connoisseur, we're excited to shed some light regarding our new collection, where to purchase, and how you can truly embrace being Bold As FVCK. 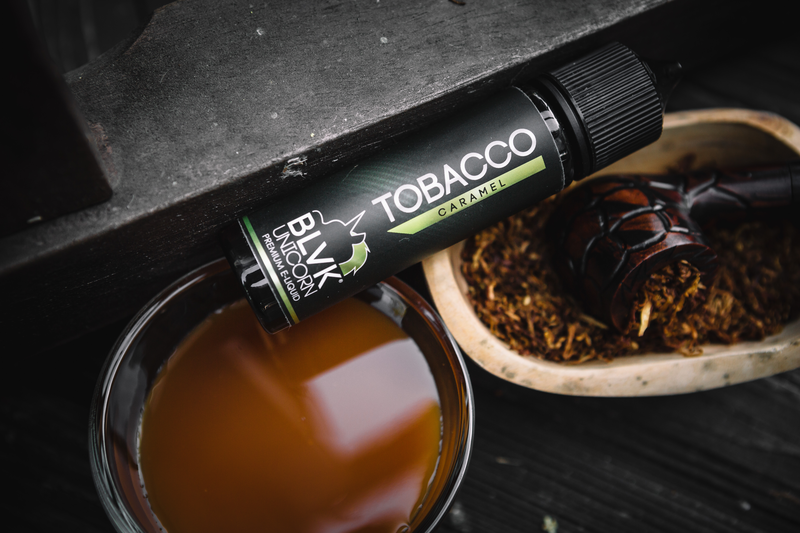 BLVK Unicorn's Tobacco collection boasts three incredible tobacco-infused juice blends: Cuban Cigar, Pistachio, and Caramel. Let's dive into each! Cuba and cigars are just as synonymous as France and wine. The pairing has historically been used as the ultimate standard in determining the quality of the smoking experience. Handmade, premium cigars contain only one ingredient - cigar tobacco - and BLVK Unicorn has perfected the ultimate rendition of it with their all-new Cuban Cigar blend under the series. Imagine a rich and robust cigar tobacco base finished notes of the textured tobacco leaf wrapped tightly around. Every smooth inhale is met with the slightest hint of vanilla to balance our a full-bodied flavor sensation unlike any other experienced before. To meet the persistent demands for a milder, lighter, and more aromatic flavor profile, we developed Pistachio Tobacco. Featuring a Flue-Cured tobacco base, we've introduced the earthy nut as a counter-balance to achieve a more-complete flavor. 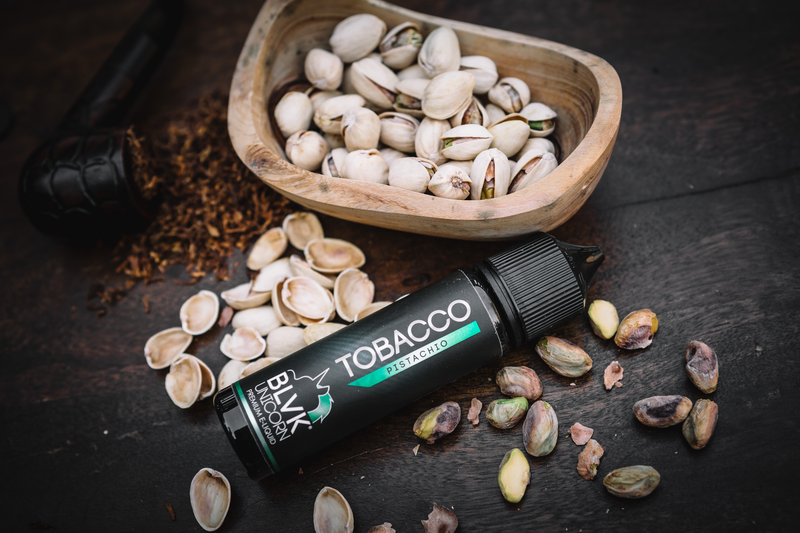 Taking both pistachios and the tobacco base, we've added that extra element of a light menthol to round out the blend as one that just as well might be regarded as your next all-day-vape. For those that enjoy a pronounced flavor yet yearn for an added element of sweetness, one would instinctually gravitate towards Caramel Tobacco. Consisting of a hybrid blend of Virginia, Burley, and Oriental tobacco, this vibrant blend is finished off with a hearty drizzle of caramel, which acts as binding agent to the three-tobacco mixture. The result is an enjoyable, yet disruptive and near-endless flavor feud of sweet and savory experienced on both the inhale and exhale. Holding true to the BLVK Unicorn mission statement, our premium e-liquid blends are manufactured domestically and use only the finest flavor extracts in the vaping industry. 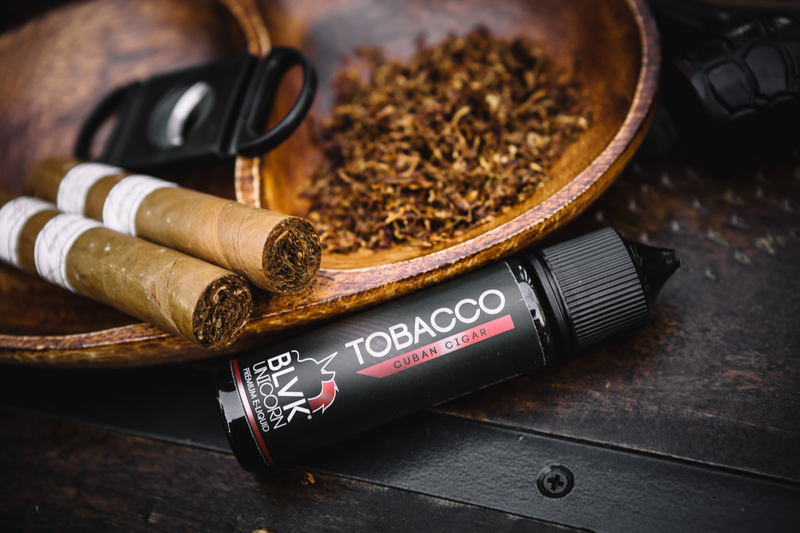 All BLVK Unicorn Tobacco blends are offered in 30ml and 60ml Chubby Gorilla Unicorn bottles complete with child-resistant and tamper-evident packaging. The 30ml bottles will be available as Nicotine Salts with your choice of 35mg and 50mg Nicotine. Our 60ml bottles will be available with your choice of 0mg, 3mg, and 6mg Nicotine. Joining the likes of our BLVK, WYTE, FRZN, CHBY, SALT, and MILK collections, BLVK Unicorn Tobacco stands to be one the best collections tailored for the true tobacco aficionado. For those that are looking for an incredible rendition to a classic smoking experience, we invite you to enjoy our newest e-liquid series, BLVK Unicorn Tobacco.